i mentioned the paul & joe pearl foundation primer in bon bon in my last post when talking about the guerlain meteorites pearl primer and decided it was about time i did a proper post on this one. the reason it deserves a post of its own should be obvious - it's without a doubt the prettiest makeup product i've ever owned! this shouldn't come as a surprise to anyone familiar with the paul & joe brand who consistently have the most beautiful packaging and who are also behind these adorable cat blush sticks. i haven't bought a cat blush because i know i could never bring myself use it for fear of ruining the little cat face and top hat, i think they're one thing my heart is destined to forever pine for. as for the primer, the pump in the bottle crushes one of the pearls when pressed down and it comes out as a sheer illuminating gel you can wear under your foundation or you can mix the two together for a bit more of a glow. there's no noticeable glitter from the pearls, it's actually really subtle but if you're curious to see how it works beautybay have a demonstration video you can watch here. i believe beautybay are the cheapest place to buy paul & joe online without having to worry about shipping, but i didn't link to their site as they're out of stock at the moment. i believe the bon bon variety with the pearls is a limited edition product but i have seen it go out of stock before and come back again, so i'm not really sure. as a side note the formula contains orange flower water, white lily, apricot extract and jojoba oil - i tend to take the overly verbose marketing blurbs that come with beauty products with a pinch of salt so i don't know what skincare benefits this primer actually has, but it sure sounds pretty! You know what, I've actually dreamt of this stuff, no joke. The bottle, the contents, it looks incredible! I'm going to have to find a way to get my hands on this stuff. I'm all for dewy skin but then again, aren't we all? Ha! I would LOVE to see a photo of you with this stuff on, just to get an idea of how it looks when it's on. It does look so lovely, though I'd be a bit worry of it making me look shiny. Also I agree, Paul & Joe stuff is epicly pretty but I feel the same about that kitty blush stick - I would not be able to use it for fear of wrecking the shape! I managed to snag a bottle of this from BeautyBay too and have been far too afraid to routinely use it because of how adorable, and equally rare, it is to find! i'm the same, i can't let myself wear it every day because it's too pretty to use up, haha. that's what i thought. i have a few of their products but i thought at least the primer would stay pretty as i use it, but unfortunately not the cat blush/lipstick! Paul and Joe products are so gorgeous! This looks like it would works wonderfully! I have seen those cute cat blush sticks around, and like you I don't think I could bear to use one! I can't even stand to eat those lollipops in the shape of cute animals/characters etc, haha. This foundaiton primer is super pretty too, I don't use much makeup but I reckon I could do with a whole dresser of their products just to look at, haha. This primer is so gorgeous! I think I'm going to have to cave in and buy it eventually, lol. I'm such a sucker for pretty packaging! 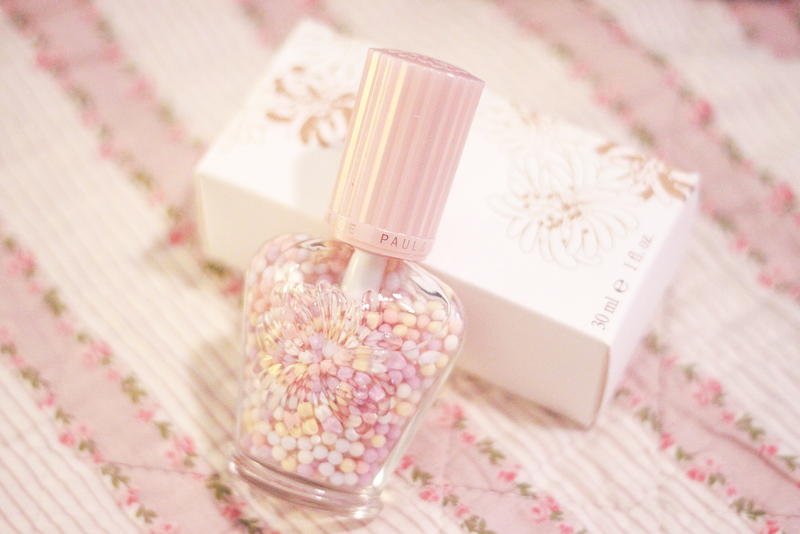 I really want to get the Paul & Joe nail polish remover as the bottle is so, so lovely. I haven't heard many reviews on the primer, though I did see someone on Instagram say it wasn't very noticeable, but I wouldn't an over the top glow to my face, anyway. It'll be interesting to compare it to my Laura Mercier Radiance Primer. they're right it's not super noticeable but i've been wearing it mixed in with my foundation lately and it's really making a difference to my make up! i've also been eyeing off their nail polish remover and eye make up remover, even though i don't need either of them and i hardly paint my nails but they're so pretty! At first I was confused because I never seen primer packaged so prettily! It looked more like nail polish to me hahahah. What a lovely company, I really like companies that pay attention to how they present their products. I've yet to find a primer I'm super happy with (I'm not sure if my perpetually dry and very sensitive skin is playing into things there or not, but I suspect it is), and am always on the lookout new ones to try that come highly recommended - especially when they're as immensely lovely (to look at) as this one. Thank you for another delightful item for me to add to my beauty product wishlist. Wow! This sure looks incredible! I can see why you say it's the prettiest you own! I think I would love to try this out for myself! 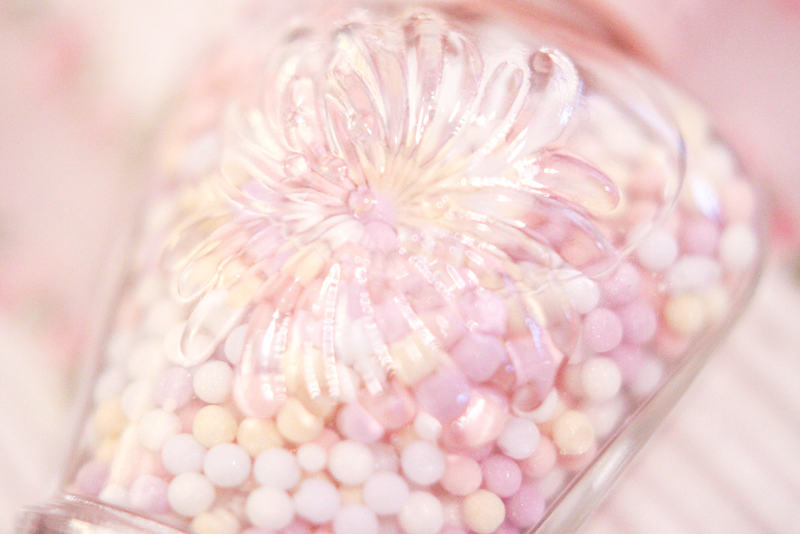 The way you pastel-fueled photography captured the pearls makes me feel like eating it instead of using it :) It looks like candy! It looks so pretty! 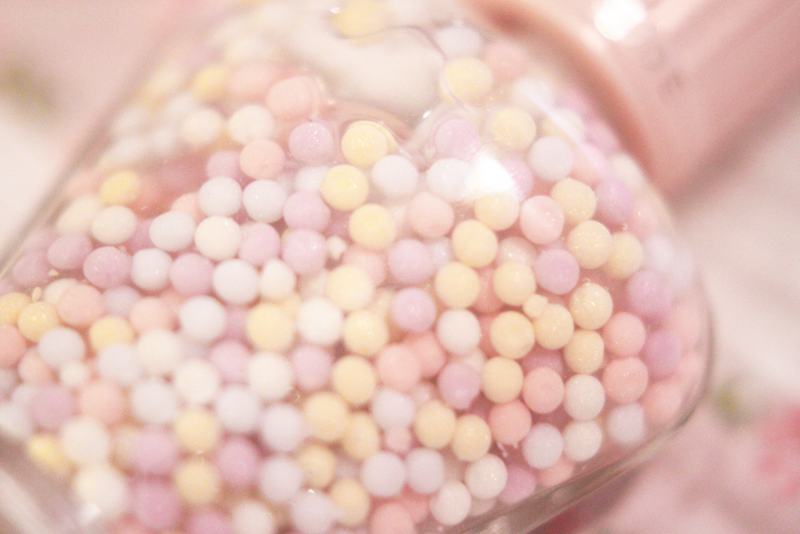 I have never seen this product before but it looks so cute and like the person above said, it reminds me of candy! I've never tried anything from Paul & Joe at all but I think I remember them doing lipsticks in the shape of a cats head at one stage... was that them? It would be the same situation with the blush you mentioned though, cute in theory but I would never want to actually use it! that's really cool, at first I thought it was a bottle of candy! I use a primer by hourglass (veil) but I'm always open to trying new things. 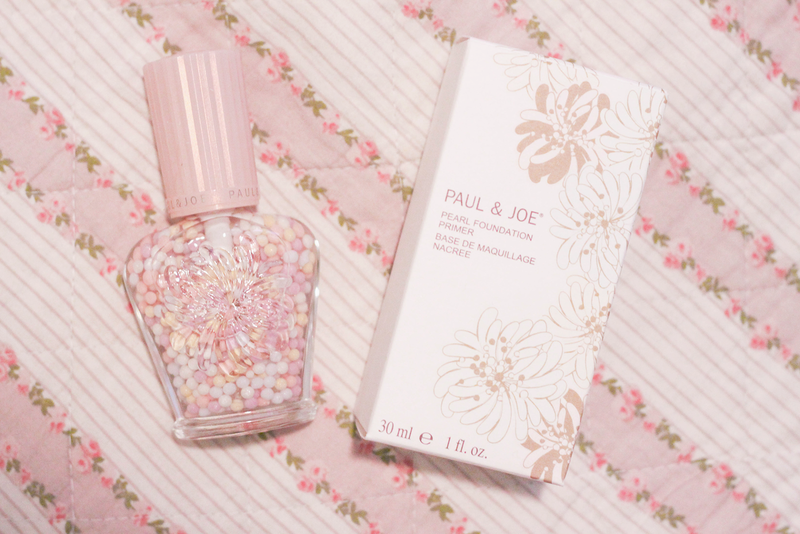 paul and joe's packaging is a lot prettier! This is seriously the prettiest make up ever! I love that it blends together after its pumped out, this is definitely going on my lust list!You always find the best makeup! oh man, this does look like magic in a bottle. I don't own any Paul Joe products, but that is actually just because the same reason you don't own that cat blush. *sigh* so pretty!!!! 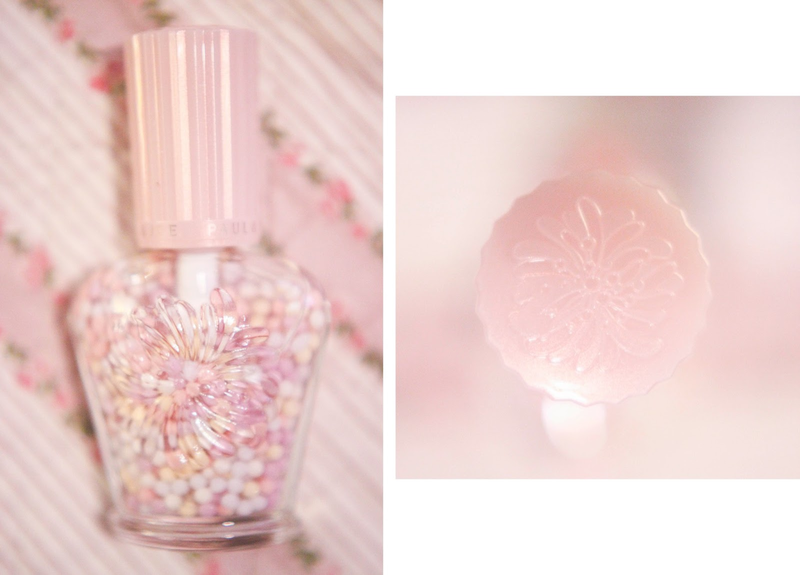 This bottle is incredible, and your picture are always so wonderful, you're one of my favourite bloggers hands down! Always so happy to see your comments on my posts! This is so beautiful- like the guerlain primer! Uhm, wow, that is definitely prettier than any makeup I own. What a fantastic idea for packaging!